Headquartered in Mexico City, PetroM Corp., through its subsidiaries, stands out as a key international marketer and a highly specialized supplier of refined products such as diesel and turbosine Mexico. 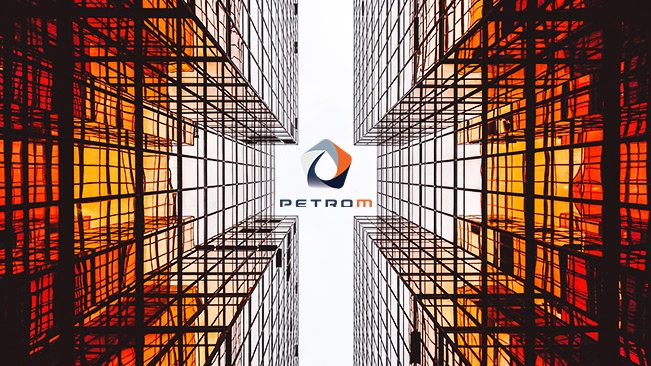 PetroM offers services of marketing and processing of refined products under the most robust operational standards and critical schedules that ensure absolute efficiency in all supply chains to meet and exceed the expectations of our customers and partners. Mexican and US customs agents specialized in refined products. PetroM has the operational capacity to control complex supply chains with ease, efficiency, and profitability. Committed to contributing to the development of cutting-edge technology. Transfer operations and logistics for refined products. - We have 500 tank cars, 8 automatic tanks & 6 train terminals to carry the fuel load from the train to the trucks at strategic points throughout Mexico. - We have transshipment terminals in Hidalgo, Monterrey, Guadalajara, León, Veracruz, & San Luis Potosí. PetroM is developing a project for its first maritime terminal in the port of Coatzacoalcos. PetroM through one of its subsidiaries, complies with all energy regulations in Mexico. A top player in the Mexican energy sector. We provide complex and specific solutions for our distinguished clientele.